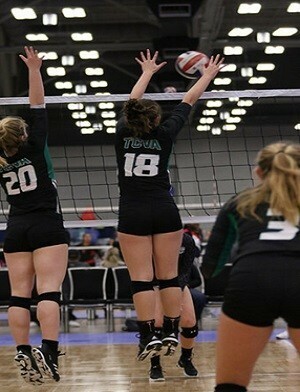 TCVA 17 Green Adidas & Steele H.S. 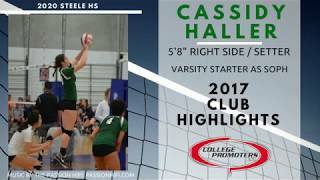 This 2020 grad plays volleyball at Steele H.S., competing in highly respected District 27-6A play in the San Antonio area. 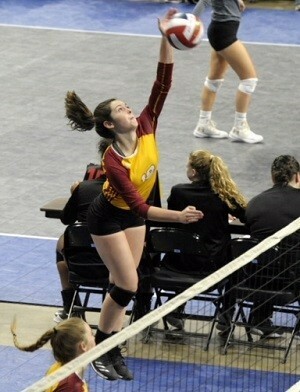 As a freshman as a starter on JV, Cassidy was primarily used at RS and at Setter, but rotated all-around when needed. 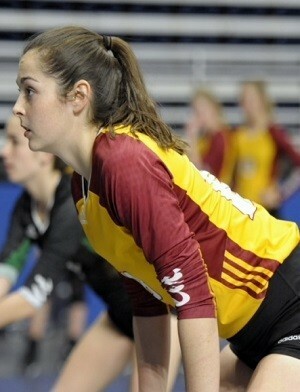 As a sophomore at SHS, Cassidy started several games at RS on the loaded varsity unit. 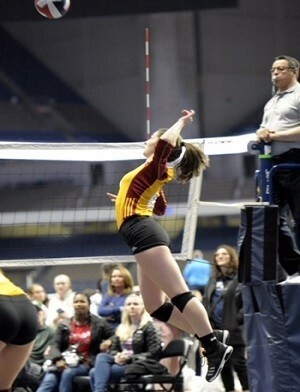 Playing her club ball with the TCVA 17 Green Adidas, Cassidy will starts at RS and at OH, and is WITHOUT A DOUBT a young lady to keep a close eye on as a junior this season! 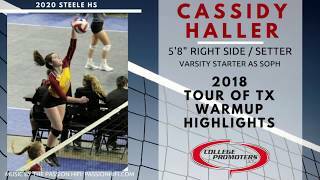 Standing 5'8"-152lbs as a junior, Cassidy combines her aggressive style of play with her ability to dominate at multiple positions to have a bright future still ahead of herself. As soon as her stats become available to us, they will be posted here. 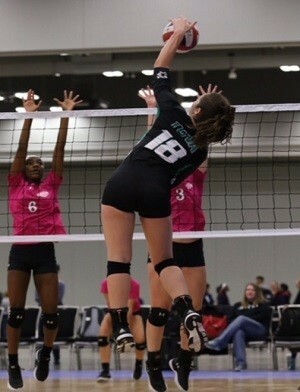 As tall as Cassidy has already stood on the varsity volleyball courts at SHS and with her TCVA select squad so far in her young career to-date, she also understands the importance of her performance in the classroom. As a junior, Cassidy is carrying an excellent 92% GPA, including Pre-AP courses, ranks in the top 25% of her class, is a Preschool volunteer, is a member of FFA, and scored 1030 on her PSAT (will be taking her official SAT in Oct '18). 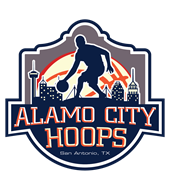 For more information on this bright, well-mannered young lady, contact our San Antonio based staff at (210) 494-6363 anytime! 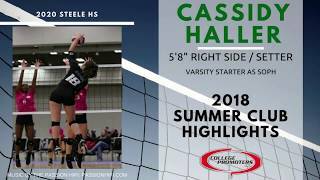 Please Note: If you've received an email from us regarding Cassidy Haller, his or her phone number and email address are provided within that email for your convenience.